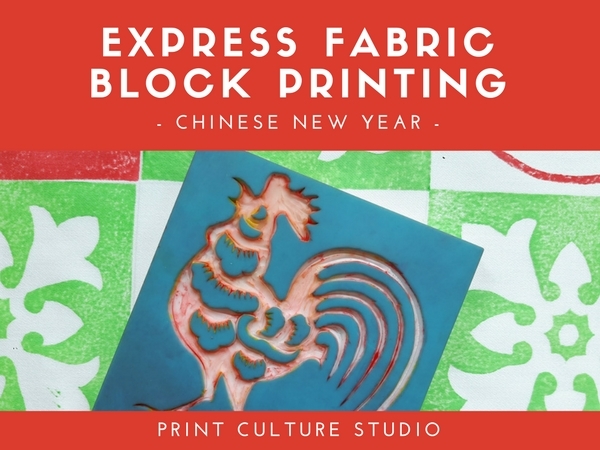 I always enjoy running my Chinese New Year printing workshops in January. Students recently enjoyed a special series of seasonally inspired printing sessions to make decorative table runners. Students used a library of Peranakan tile designs, Chinese auspicious flowers and Chinese written characters to create gorgeous personalised designs. Gong Xi Fa Cai! Missed out? Check out upcoming workshops. One of my linocut students and his fantastic sketch of me! A workshop of mine recently featured on online TV for a Chinese New Year special documentary! 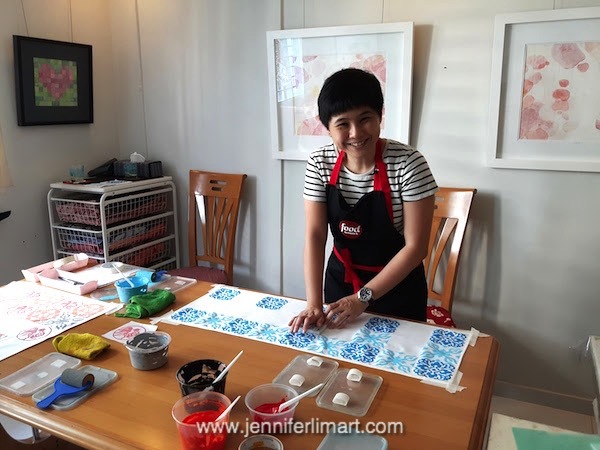 Channel 8 online filmed my CNY Linocut workshop at Naiise as part of a program about businesses catering to the festive season. My segment starts at the 04:50 mark on this short video. "Aside from all the food, another thing everyone loves about the Chinese New Year is getting red packets! Lucky red packets come in all shapes and sizes, but there's something genuine and heartwarming about getting lucky money in an envelope hand-crafted by a loved-one. One local artist is using the approaching New Year to host a one-day workshop that teaches students how to make red packets out of linocut prints. She teaches the process in three steps. 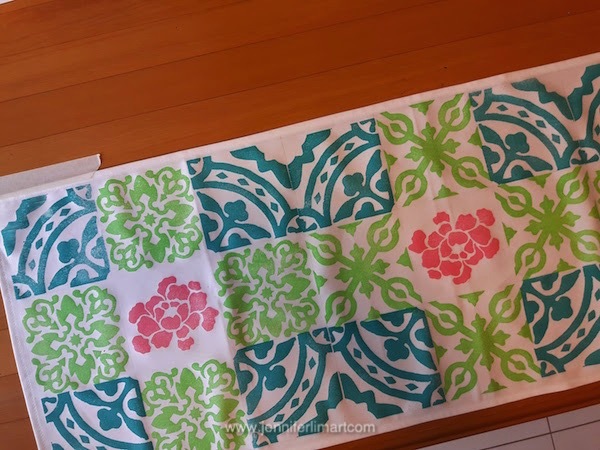 First, transfer any image you want from tracing paper onto a piece of linoleum. Next, carve out the image using various carving tools. Finally, place ink on the linoleum and print the image on a piece of paper, which can then be folded into a red packet. This two and a half hour class costs $95. Participants' ages range from 20 to 60+ years. What was it about this class that appealed to them? Let's hear what they had to say. 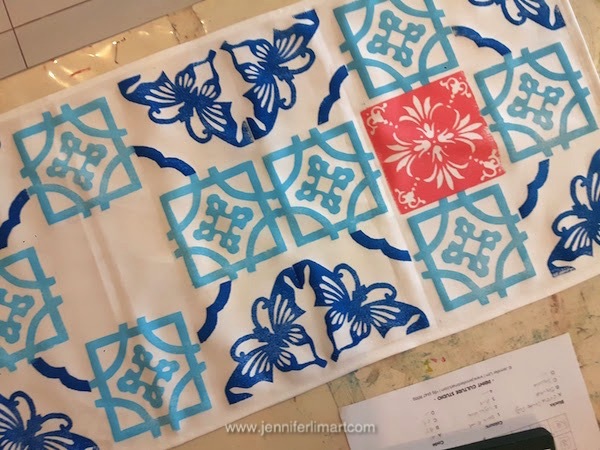 Participant 1: I have always been interested in linoblock work, and Jennifer was providing a basic course, so it was interesting to be able to be introduced to the topic. Participant 2: I have always been interested in arts and craft, actually I have attended quite a few arts and craft, hands‐on workshops in Singapore, like calligraphy, candle‐making classes and all. The instructor and host of the workshop told us that linoleum printing is good for beginners, not to mention primary-schoolers! Jennifer Lim: ...because we use rubber and it's very soft, it's suitable for beginners, and even upper primary school children. I feel printmaking does tend to require one to be a bit careful because you are using inks and paper. It can be messy at times, but I think the students find it meditative, the process of printmaking, and the results they have are really great. And just how would students rate the workshop in terms of difficulty? What part do they find to be most challenging? Participant 3:...difficulty on a scale of 10? Maybe 3 out of 10. The most challenging was actually doing the line work, carving the block. Participant 4: Six maybe. What I find it difficult is using the tools to carve on the rubber... even rubber is not easy, especially for someone like me who is doing it for the first time."